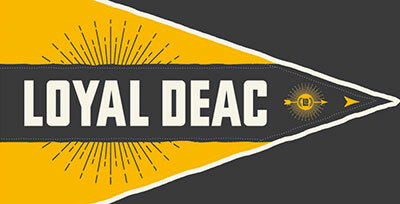 Wake Forest University has raised more than $625 million for students, faculty, and enhancements to the Reynolda Campus through Wake Will: The Campaign for Wake Forest. Having surpassed its initial fundraising goal of $600 million by 2018 two years ahead of schedule, Wake Forest will build on support from alumni, parents and friends to extend the campaign and raise $1 billion by 2020. Wake Forest President Nathan O. Hatch made the announcement before more than 300 Wake Forest volunteers and donors gathered at a celebratory event on Thursday night to kick-off Homecoming weekend. “Six years ago, we began a conversation with Wake Forest supporters about the need to reduce our dependency on student tuition to fund University aspirations with a culture of philanthropy,” Hatch said. “Since the public launch of ‘Wake Will’ at Homecoming in 2013, I have been asked on numerous occasions to answer the question implied by our campaign, ‘What, exactly, will Wake do?’ he said. 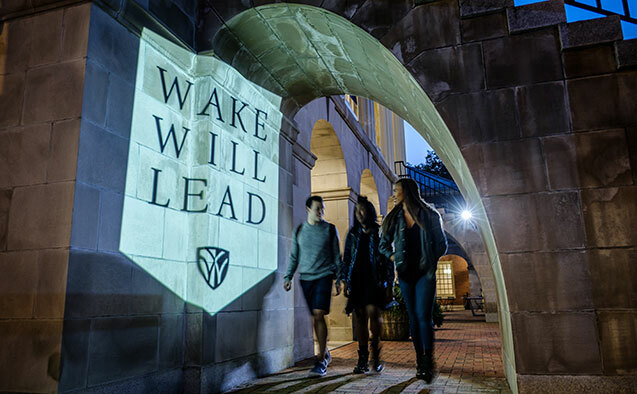 While introducing “Wake Will Lead” as the evolution and extension of “Wake Will,” the University also is celebrating the generous philanthropic support of more than 50,000 donors. $133 million for buildings and capital enhancements, enabling a wave of renovation and construction activity not seen since the Reynolda Campus was built in 1956. From $10 to $10 million, every gift to Wake Will has a meaningful impact on campus. Seventy-five percent of donors to the campaign have committed less than $1,000 and 52 percent of donors have given less than $250. Philanthropic giving by young alumni has increased 184 percent. 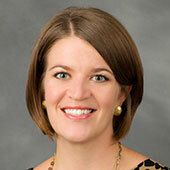 Wake Will Lead extends the momentum of Wake Will to claim a leadership position in signature areas. These signatures convey a sense of identity and an obligation to prepare students to thrive in an unpredictable and dynamic world. Additional information is available at WakeWill.wfu.edu and will be shared on social media using the hashtag #WakeWill. 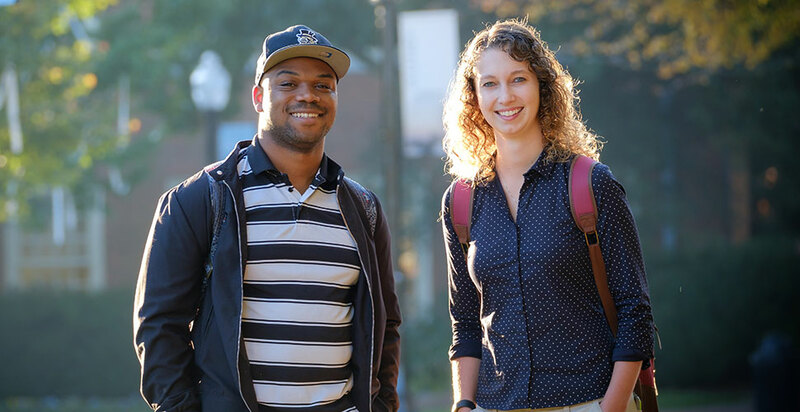 The impact of the campaign’s goals to create opportunity, educate the whole person, and inspire excellence is evident in seniors Dwayne Peterkin and Sarah Rudasill. Peterkin is a first-generation college student from Southwest Baltimore, Md. He grew up in the neighborhood that has made recent headlines for Freddie Gray’s death and subsequent protests. At Wake Forest, Peterkin is part of the Magnolia Scholars Program, which provides support for first-generation college students with strong academic records and demonstrated motivation to succeed. 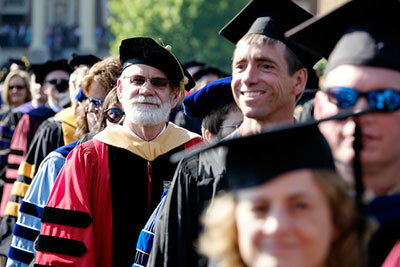 He also received a student access grant to study abroad in Barcelona, Spain, this summer. “You realized the future was something you can’t afford. At first, Wake Forest seemed like such a distant thing financially. Philanthropic support has afforded me a life that I didn’t know was possible,” said Peterkin, a communication major who plans to begin a career in public relations in New York or Washington, D.C. after graduation. 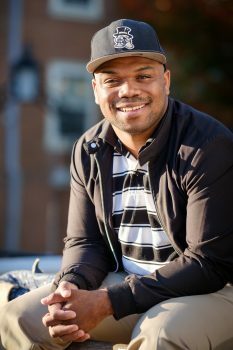 It is clear walking around campus with Peterkin that he has made the most of his experience at Wake Forest, having served on the executive committees of Chi Psi, his fraternity; Trailblaze, a student-run organization committed to ending sexual assault; and Momentum Crew, a hip-hop dance group. A former cheerleader for the Demon Deacons, Peterkin seems to know everyone he encounters on campus and he cheerily greets them all. “My education at Wake Forest goes beyond the books I read and the lectures I hear – it’s about the people I meet. 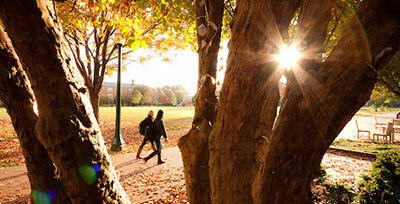 Wake Forest has pushed me past being a student and made me learn from life,” he said. Wake Forest seniors Dwayne Peterkin ('17) and Sarah Rudasill ('17). Far from the inner city, Sarah Rudasill grew up in a small community of only 1,800 people in rural Pennsylvania, unable to afford college without the full ride afforded by the Stamps Scholars Program. 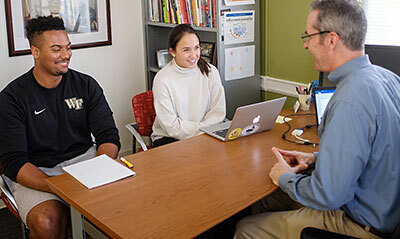 Rudasill has become the epitome of a high-achieving Wake Forest student – having earned the prestigious Richter and Truman Scholarships and currently serving as the Student Trustee and Student Union President, among several other campus leadership roles. As a pre-med economics major aspiring to channel her love of science into health policy and administration, Rudasill has conducted comparative research in Costa Rica, worked at a think tank in South Africa and interned at the Wake Forest Institute for Regenerative Medicine. 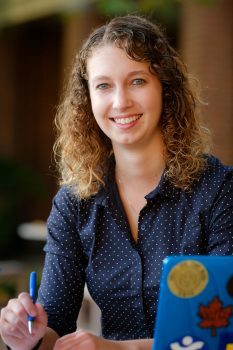 “While I always dreamed of being a physician, Wake Forest helped me discover that I could be a healthcare leader,” she said. Perhaps more importantly, Rudasill credits her “transformative Wake Forest experience” for helping her develop the resilience needed to handle whatever her future holds.